“As the years unfolded after my conversion, I started to look dangerously cleaned up. Rosaria Champagne Butterfield, a former professor of English and women’s studies at Syracuse University, converted to Christ in 1999 in what she describes as a train wreck. 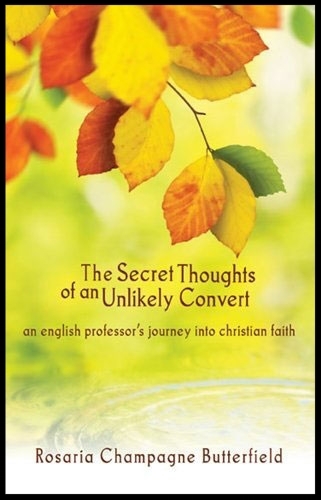 Her memoir The Secret Thoughts of an Unlikely Convert chronicles that difficult journey. Rosaria is married to Kent, a Reformed Presbyterian pastor in North Carolina, and is a homeschool mother, author, and speaker. Rosaria On . . .